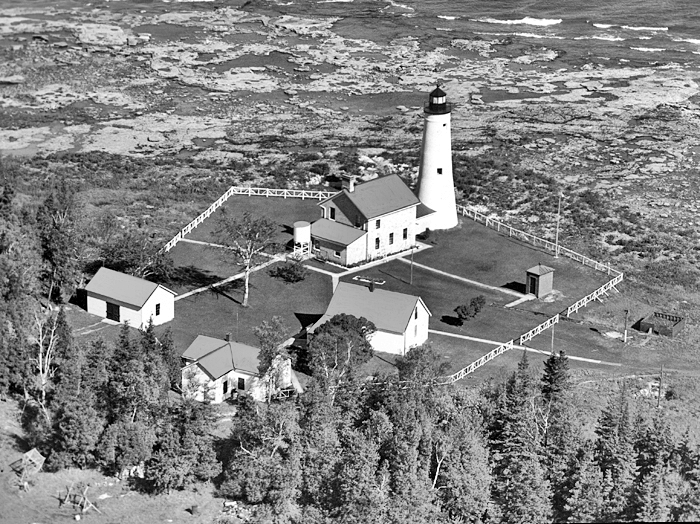 The Bureau of Land Management, through the Recreation and Public Purposes Act of June 14, 1926, transferred the 43.08 acres containing the lighthouse and all remaining structures to the Township of Alpena. The Township of Alpena formulated a management agreement with Thunder Bay Island Preservation Society to oversee and maintenance and development of the property. Continue caring for the island and the historic buildings. Find and apply for funding to assist with planning costs. Provide transportation to the island when necessary. Develop a working and supportive relationship with the Preservation Society. Incorporate future plans for Thunder Bay Island into the newly updated township master plan. Encourage and support TBIPS in grant opportunities. Partner with the State Historical Preservation Office in applying for a Great Lakes Maritime Heritage Grant from the National Park Service to conduct a Historic Structures Report for 5 of Michigan's offshore lighthouses. Thunder Bay Island was very fortunate to have been included in this grant. The completed Historic Structures Report will become the guiding document for all restoration and rehabilitation of the buildings and grounds on the island. An additional benefit of this grant is for an educational component to be included. Compile all documentation related to the island, and share with the firm compiling the report. Provide transportation to the island when needed. 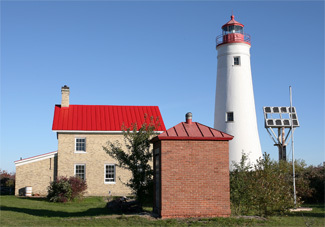 National Maritime Heritage Grant was awarded for the 5 off-shore lighthouse Historic Structures Report, bids were solicited and the firm of OX Studios of Ann Arbor was awarded the project. Establish communication with OX Studios personnel to begin the information process. Meet with representatives of BLM, Coast Guard, NOAA, State Historical Preservation Office, Alpena Township, MDOT, Alpena County Road Commission to begin the investigative process of a joint development plan for Thunder Bay Island. The initial meeting took place in May, with a follow-up phone conference call taking place each month. A site visit was made in August for all parties to do a physical site inspection of the island. Positive momentum continues, so the parties involved are each working on various aspects of creating a day-use park with public access to the island.